The Cholesterol Counts program has surveyed more than 12,000 adults, including approximately 200 adults in each of the 50 states. The poll, which is available online at http://www.CholesterolCounts.com, was conducted online by Harris Poll on behalf of Sanofi and Regeneron Pharmaceuticals. The results are weighted demographically and attitudinally so that they are representative of the national population and the population of each state. Initial results from the Cholesterol Counts poll were released in 2015, and showed that 71% of Americans surveyed are not sure of or do not recall their LDL cholesterol levels despite the fact that this is a critical health factor that can increase risks for heart attack and stroke (Figure). “This finding is concerning because patients need to know their cholesterol levels and goals so that they talk to their physicians to help manage it and assess their risk for potential cardiac events,” says Dr. Vicari. He recommends that clinicians make a concerted effort to write down cholesterol levels and give these numbers to their patients. It is also paramount for them to explain what these numbers mean so that patients understand why it is important to manage high cholesterol. “The Cholesterol Counts poll also found that just 29% of Americans have been told by their doctor or healthcare professional that they have high LDL cholesterol,” Dr. Vicari says. “In fact, about 47% of the people surveyed under age 35 have never had their cholesterol tested.” Another 44% of all people surveyed reported that they are unsure if LDL cholesterol is referred to as “bad” cholesterol. At the state level, four states—New Mexico, South Carolina, Tennessee, and West Virginia—tied for having the highest percentage (37%) of people surveyed who reported being told by a healthcare provider that they have high LDL cholesterol. Massachusetts had the lowest percentage (21%) of people reporting that they were told they have high LDL cholesterol. Lack of knowledge regarding LDL cholesterol levels was similar among older and younger people, according to survey data. “The percentage of those surveyed who were not sure of or did not recall their LDL cholesterol levels were fairly similar for all age groups,” says Dr. Vicari. “However, more Americans aged 55 and older reported being personally concerned about cholesterol when compared with those between the ages of 35 and 54. These findings are especially concerning considering that guidelines recommend testing cholesterol levels at a younger age.” The American Academy of Pediatrics recommends cholesterol testing for all children ages 9 to 11. About 27% of people surveyed who reported being told that they have high LDL cholesterol said they have not taken a prescription medication to manage it. A wide array of medications and other lifestyle treatments are available to help patients manage their cholesterol levels and reduce their risk for heart attacks and strokes, and Dr. Vicari says clinicians should better advocate for patients by educating them about these treatment options at the point of care. Train other healthcare providers to convey to patients their LDL cholesterol levels and what they should be. Demonstrate the link of LDL cholesterol to the prospect of having a heart attack or stroke. National Lipid Association. New results from Cholesterol Counts show most Americans polled do not know their bad cholesterol (LDL-C) levels. February 18, 2015. Available at: https://www.lipid.org/nla/new-results-cholesterol-counts-show-most-americans-polled-do-not-know-their-bad-cholesterol-ldl. National Heart, Lung, and Blood Institute. What is cholesterol?” September 2012. Available at https://www.nhlbi.nih.gov/health/health-topics/topics/hbc/#. American Heart Association. 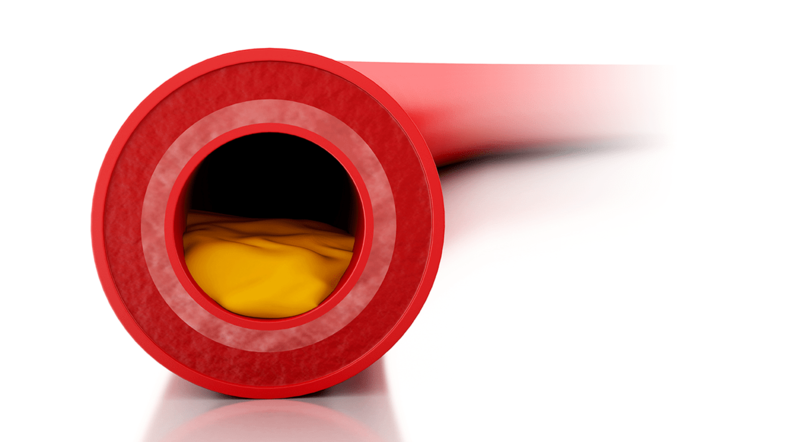 Symptoms, diagnosis & monitoring of high cholesterol. April 2014. Available at: http://www.heart.org/HEARTORG/Conditions/Cholesterol/SymptomsDiagnosisMonitoringofHighCholesterol/Symptoms-Diagnosis-and-Monitoring-of-High-Cholesterol_UCM_001214_Article.jsp. Ralph M. Vicari, MD, FACC, has indicated to Physician’s Weekly that he has or has had no financial interests to report.